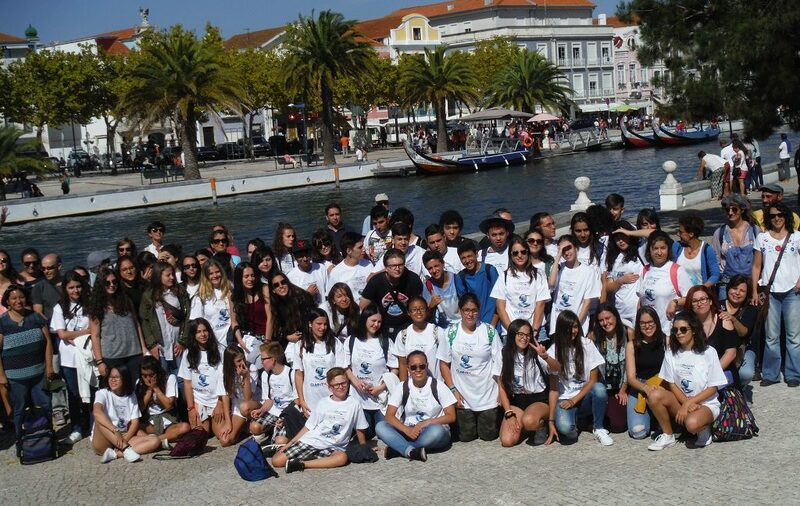 From 2 to 6 September, it was held at the center of scientific dissemination Ciencia Viva Sciences Factory and the University of Aveiro, the production part of the international youth international campus with its teaching seminar on research – action Educo2cean-Erasmus+, which was developed at the Factory of Ciencia Viva and the University of Aveiro. 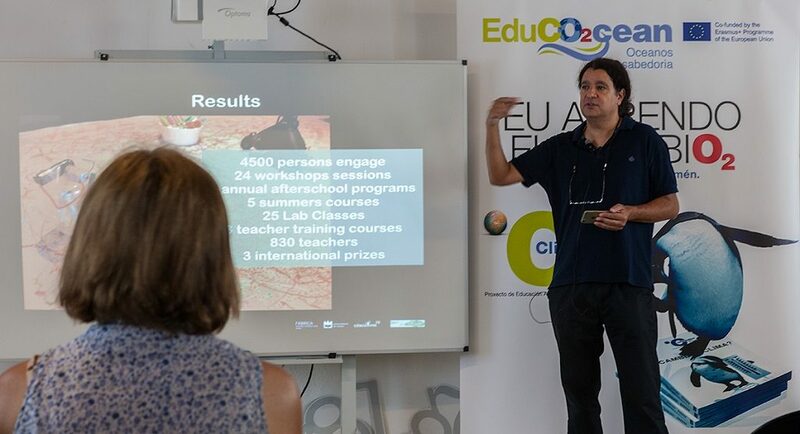 This initiative has been framed in the strategic alliance for Educo2cean-Erasmus+ educational innovation and good practices, elaborated with the principles of design of the Climántica project, in partnership with the center of popularization of the Factory Cienci Viva of Aveiro, that directs the professor of Physics of the University of Aveiro, Pedro Pombo. The participating students were selected through a virtual congress. These students also obtained a place for their project guidance teachers in the research seminar – action on the EduCO2cean campus – Erasmus+. The seminar was accredited by 50 hours by the Ministry of Education Science and Sport (MECD) of the Government of Spain. In this process a number of 80 students and 40 teachers from 10 different educational administrations was selected by an international jury. 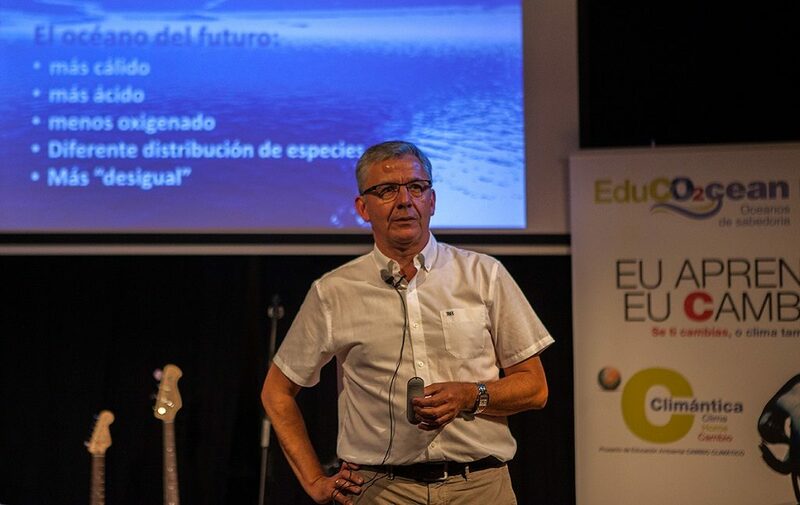 This campus has adapted to the coastal environment and to the European project Educo2cean – Erasmus+, the model applied in recent years in the National Center for Environmental Education of the Government of Spain. In it, two types of products were developed through collaborative teamwork: short films and a musical for environmental awareness. The short films of social awareness in the face of the challenge of climate change integrate the images that express the knowledge acquired on the campus, comparing and increasing them, with the ones which students bring from their summer stays in coastal environments, and that using robotics and virtual reality, present a more sustainable future for coastal environments in the climate change framework. 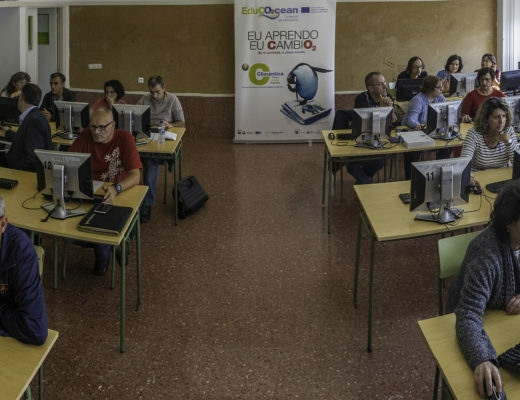 3 projects were launched, and in each one 13 students worked, all of them with different climatic domains, with different ages and highlighted in different competences in the virtual congress. Each one has taken on a different role from the professional roles of the producers: script, production, direction, camera operator, performance, presenters-actors-voices over, assembly, photo, video, sound, make-up, costumes. The scenarios were scientific experiences and contexts from the Factory and the coastal and integral environments of the territory of Aveiro. The contents will come from conferences,seminarsandworkshops. To train in skills, competencies, abilities and specific techniques, the work groups of A / V projects were unfolded each day in thematic workshops, to which it was dedicated one and half hour every day. To the classic photo and video workshops and videos assembly, it was necessary to add other specific facilities and technical knowledge of the Factory: robotics, Dong Maker Space, Science. 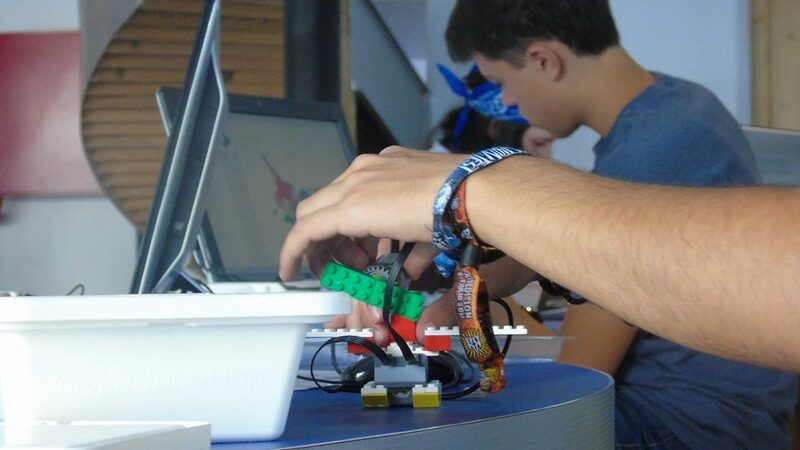 One of the most sought after workshops was robotics. 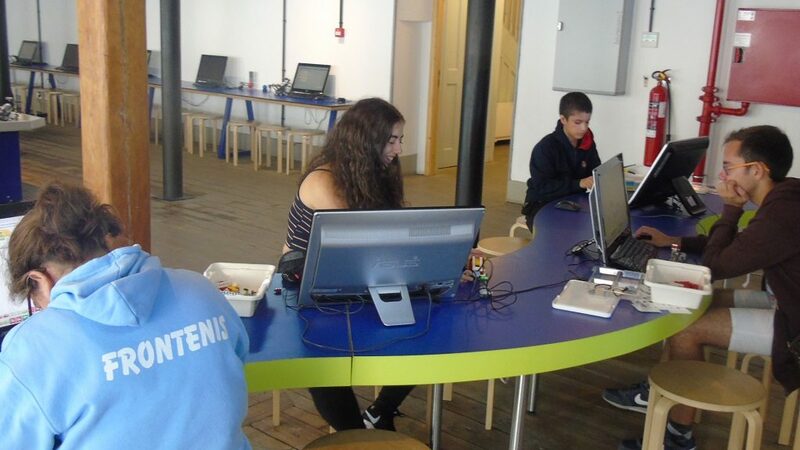 With this workshop the students created with lego pieces robots to simulate scenarios of virtual reality and science fiction futurist. 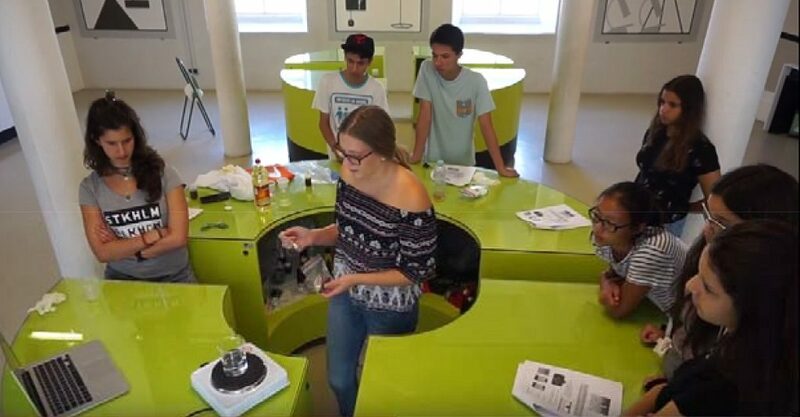 To realize the three-dimensional models of the robots, they used the equipment and 3D printers available in the Dóing Maker Space room, which is a creative production space that relates art to science and engineering. 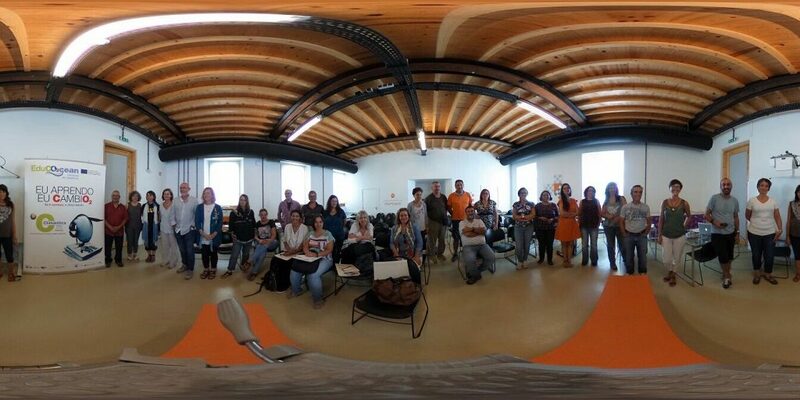 In this space the audience had many possibilities to manipulate digital and anological technologies to express ideas and obtain the simulation products they needed to develop the thesis, arguments and scripts of their videos. In the science workshop, developed in the laboratory, they have realized experiences to simulate and interpret various impacts derived, directly or indirectly, from the use of fossil fuels: ocean acidification, convection currents, terrestrial-albedo warming, ocean warming, oceanic stratification,de-icingArcticandAntarctica. 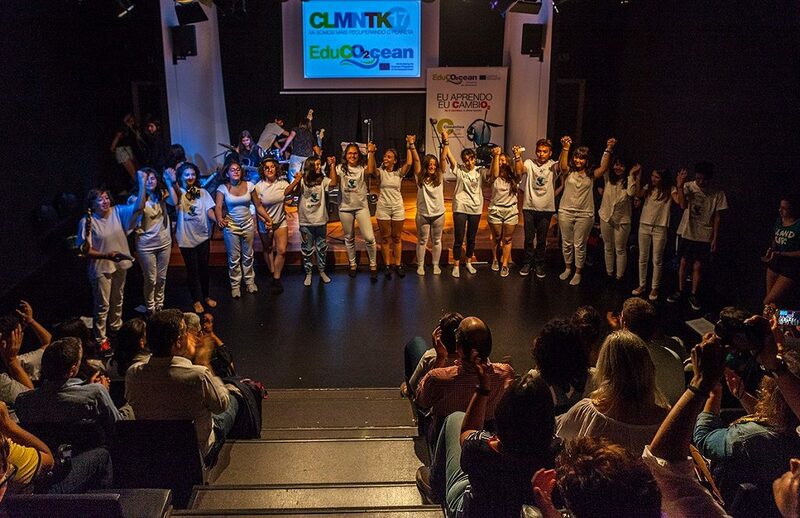 The musical, whose booklet was developed within the tasks of IES Virxe do Mar in EduCO2cean-Erasmus+, was directed by Irene Maquieira and Carlos Maquieira, with the coordination of Telma Lago. With the title of Tragedy, it addressed, from the classic genre of the Greek tragedy, the problem of rising sea levels and their implications for climate refugees, seen from different continents and territories. This musical integrated the theater, the music, the dance and the visual arts. During the work time in projects, for the development of this challenge two work groups were organized: theater and musical band. 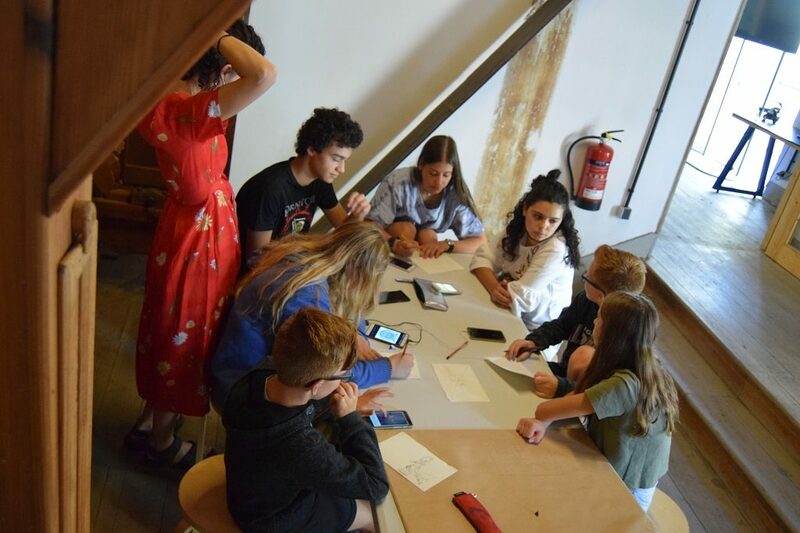 During the workshop time, the theater group disbanded in 3 work groups to support the musical, to which students from the A / V projects joined these artistic competitions. These work groups were the one of dance, song and visual arts – holography for the projected stage design of the musical comedy. 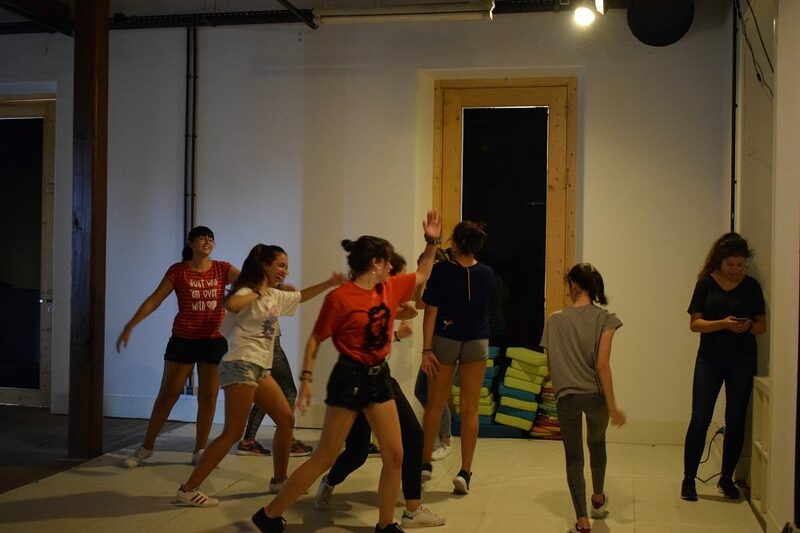 In the dance workshop, the musical choreographies were designed and developed. It was run by the dance technician Úrsula Martínez. 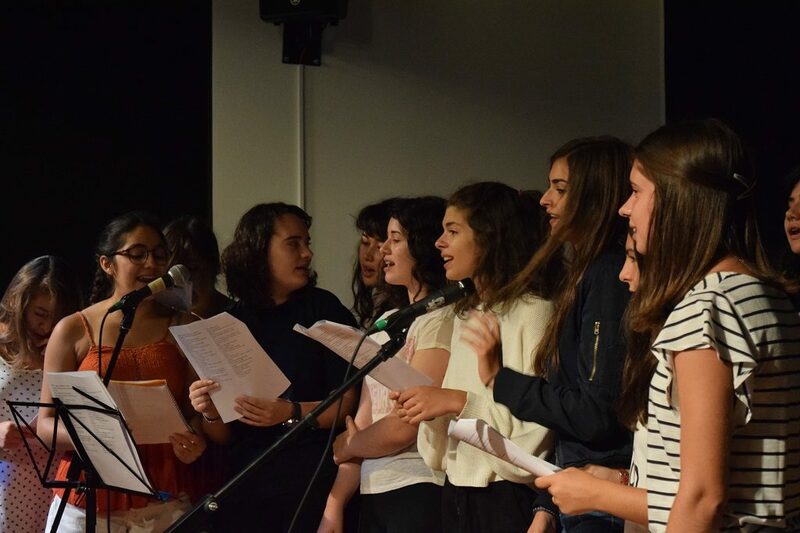 The singing workshop was given by the teachers who direct the Choir Has de Cantar from IES Virxe do Mar, Fernando Vigo and Eva Núñez. During this workshop the songs of the musical were rehearsed. Scenography was developed in two coordinated workshops, holography and visual arts. The part of visual arts was developed by the specialist in this field Noa Rodríguez. In this workshop drawings were made that illustrated each of the chapters. 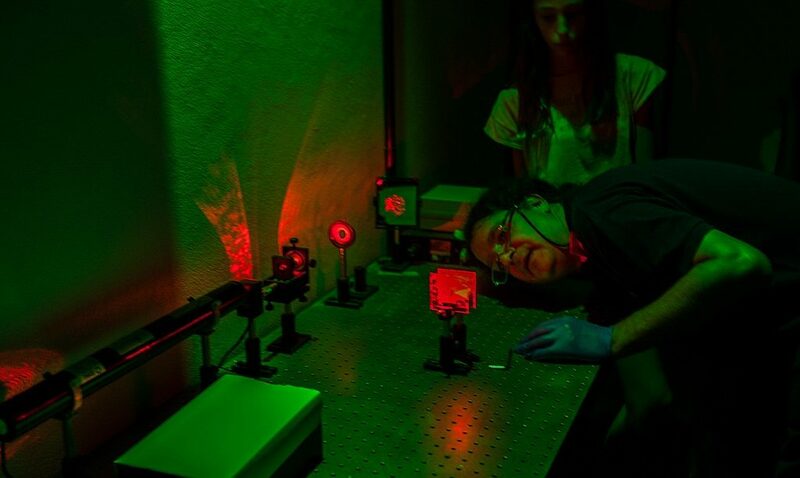 The part of holography to obtain holograms for projections during the representation of the musical was developed by the Factory director and professor of Physics at the University of Aveiro, Pedro Pombo. 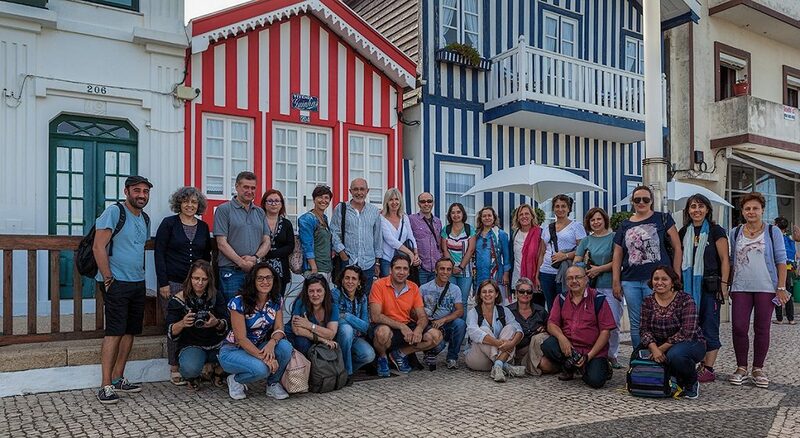 These production activities were combined with outputs related to the project such as Costa Nova, Praia da Barra, Aveiro city or Ilhavo Maritime Museum. Leisure activities included walks through the most emblematic areas of Aveiro. 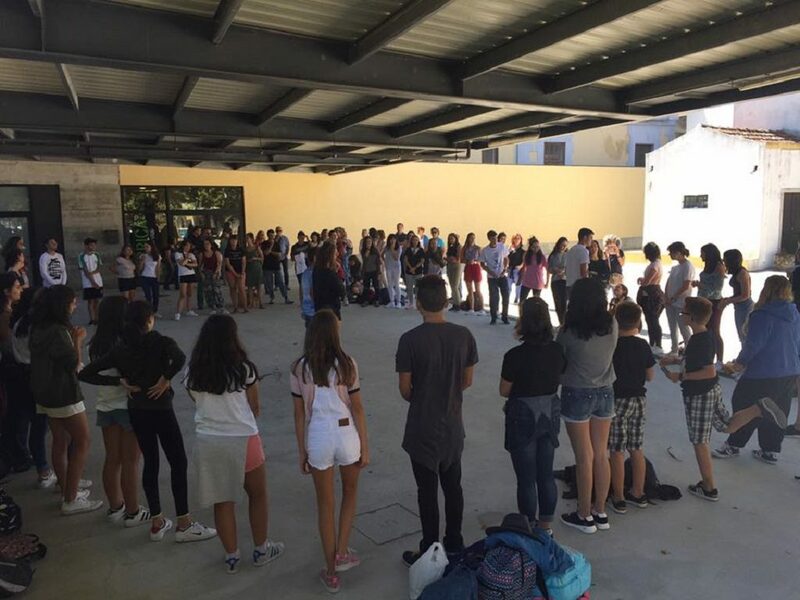 The rest of the recreational and coexistence activities were the dinner and festival of nationalities, musical performances of the students’ favorite songs, games and group integration dynamics. The accompanying teachers were integrated in a teaching seminar accredited with 50 hours by the Ministry of Education, Science and Sports through the agreement for teacher training with AEPECT. 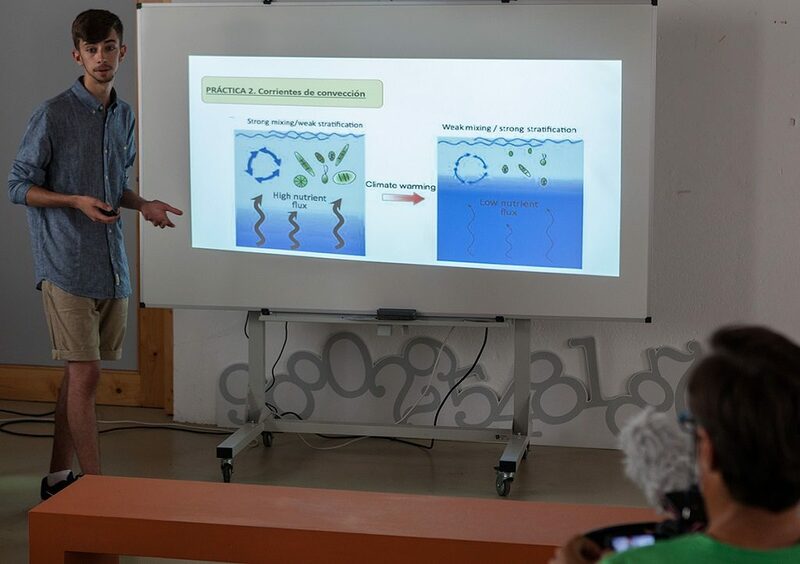 In this seminar, common activities were developed with students, with a subsequent lecture colloquy analysis, such as the one on global change in the ocean with the director of the Campus do Mar and Professor of Ecology at the University of Vigo. 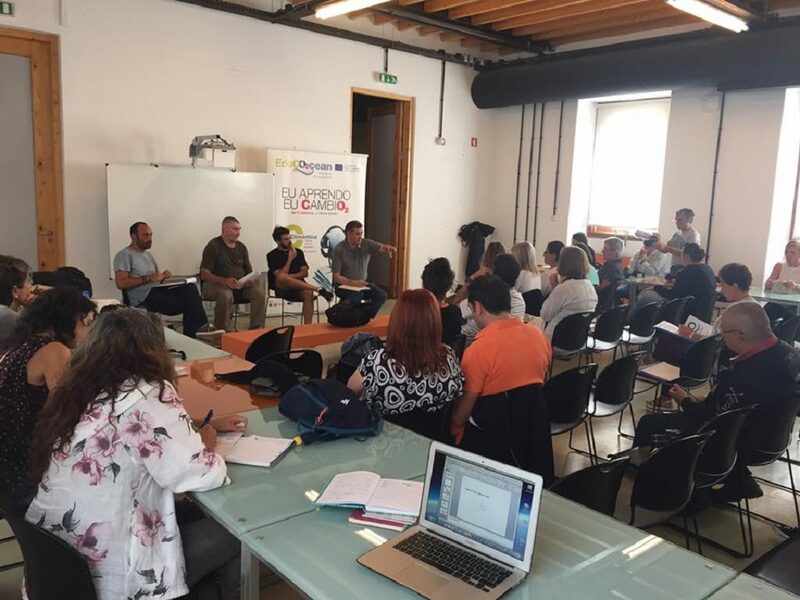 Speech conferences were also given specifically for teachers, such as those given by the director of the Factory of Ciencia Viva on the alliances between scientific dissemination and schools as an opportunity for this project. Within the specific teaching activities two symposiums related to the types of projects were developed: video as an educational tool and musical as an educational tool. The young coordinators of the science, technology and robotics workshops also participated in the teaching seminar explaining the fundamentals and developments of their practices, and exposing the conclusions drawn from these workshops. 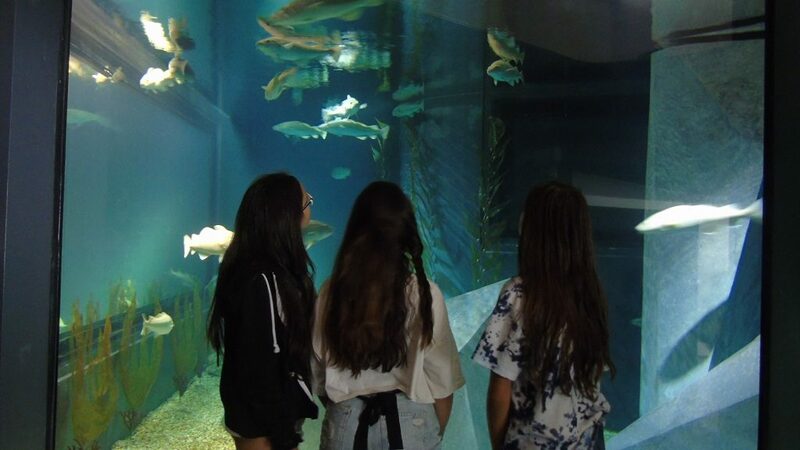 The activities of the teaching seminar on action research completed the visits and analysis of the comprehensive occupation of the coastal territory in Aveiro and surrounding areas, such as the elimination of dune systems due to the Costa Nova’s tourist building constructions.